Interesting choice to invest some time swimming in West Kelowna. Is it not your first time here? Tell us how it went using the Facebook comments below or contacting us directly! 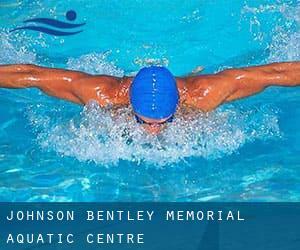 Johnson-Bentley Memorial Aquatic Centre is only one of all of the swimming pools Swimia is providing you, and its information has been shared with us by a swimmer like you.Remember you can now promote Johnson-Bentley Memorial Aquatic Centre by sharing this page together with your good friends, adding comments and linking to us. This sports centre delivers 25 meters, 6 lanes, 1 meters - 2.7 meters depth, 1 meters - 2.7 meters depth, Indoors. Contact data for this Pool like phone number and email address are number. Write down the GPS coordinates we have on our file for this Pool, so you can enter them into your GPS to enable you locate the Swimming Pool easily. To create the MapQuest map, below, we had to use an address slightly different from the one above. The map points to 3720 Old Oganagan Hwy., the centre should be close to that address. Updated on 2019 2929 East 22nd Ave. , Renfrew-Collingwood , Vancouver , BC , CANADA (Postal Code: V5M 2Y3). Swimmers like you reported 25 meters x 15 meters, Indoors. Unfortunately we do not have the email address of this Swimming Pool, but we can provide you with the phone number. Updated on 2019 2275 Quadra St. , Victoria , BC , CANADA (Postal Code: V8T 4C4). Swimmers like you reported Olympic size x 25 meters, Indoors. Phone number and e-mail address are number for this Pool. Updated on 2019 6121 University Blvd. , University of British Columbia , Vancouver , BC , CANADA (Postal Code: V6T 1Z1). Among all of the activities offered by the centre, if you are thinking about swimming you can get pleasure from Olympic size x 25 meters, fast/slow/medium speed lanes, Indoors. If you need to make contact with this Pool, e-mail address and phone number are both number. Updated on 2019 3990 West 14th Ave. , West Point Grey , Vancouver , BC , CANADA (Postal Code: V6R 4H2). This sports centre offers 25 meters x 13 meters, Indoors. Contact information for this Swimming Pool such as phone number and e-mail address are number. Updated on 2019 5851 West Boulevard , Kerrisdale , Vancouver , BC , CANADA (Postal Code: V6M 3W9). Among all the activities offered by the centre, in case you are thinking about swimming you might get pleasure from 30.3 meters x 12.7 meters, Indoors. Just in case you would like to contact this Swimming Pool just before dropping by, we only know the phone number. Updated on 2019 837 West Hastings Street , Downtown , Vancouver , BC , CANADA (Postal Code: V6C 1B6). This sports centre delivers 25 meters, 5 lanes, Non-Chlorine Sanitized, Indoors. Contact data for this Pool like phone number and email address are number. Updated on 2019 719 Vernon Street , Nelson , BC , CANADA (Postal Code: V1L 4G3). Swimmers like you reported 25 meters x 12 meters, 6 lanes, Indoors. Phone number and email address are number for this Pool. Updated on 2019 3106 Clearbrook Rd. , Abbotsford , BC , CANADA (Postal Code: V2T 4N6). Swimmers like you reported 25 meters x 15 meters, Indoors. Phone number and e mail address are number for this Swimming Pool. Updated on 2019 1050 Beach Ave. , Downtown , Vancouver , BC , CANADA (Postal Code: V6E 1T7). Swimmers like you reported Olympic size x 20 meters, Indoors. Unfortunately we do not have the email address of this Pool, but we can give you the phone number. Updated on 2019 377 Lerwick Road , Courtenay , BC , CANADA (Postal Code: V9N 9G4). Among all the activities supplied by the centre, if you are considering swimming you will delight in 25 meters, 8 lanes, Indoors. If you will need to get in touch with this Pool, email address and phone number are both number. Updated on 2019 1128 Hastings Street W , Downtown , Vancouver , BC , CANADA (Postal Code: V6B 4R5). Among all the activities provided by the centre, when you are enthusiastic about swimming you might delight in 52 feet, Indoors. Just in case you would like to contact this Swimming Pool before dropping by, we only know the phone number. Updated on 2019 6260 Killarney St. , Fraserview , Vancouver , BC , CANADA (Postal Code: V5S 2X6). This sports centre offers 25 meters, 6 lanes, Non-Chlorine Sanitized, Indoors. Contact information for this Swimming Pool similar to phone number and email address are number. Updated on 2019 2300 Bowen Rd. , Nanaimo , BC , CANADA (Postal Code: V9T 3K7). Swimmers like you reported 37 meters with a 25 meters x 12 meters, Indoors. Unfortunately we do not have the email address of this Swimming Pool, but we can provide you with the phone number. Updated on 2019 4075 Gordon Drive , Mission Recreation Park , Kelowna , BC , CANADA (Postal Code: V1W 5J2). This sports centre offers Olympic size with two moveable bulkheads, Indoors. Contact info for this Pool such as phone number and email address are number. Updated on 2019 7560 Minoru Gate , Richmond , BC , CANADA (Postal Code: V6Y 1B9). Swimmers like you have reported 30 meters x 12 meters, Indoors. Also, you will find 25 meters, Indoors. Just in case you want to contact this Pool before dropping by, we only know the phone number.